The price continues falling down inside wave , as we expected. It looks like this impulse hasn’t been completed yet, and the market may reach a new local minimum in the nearest future. 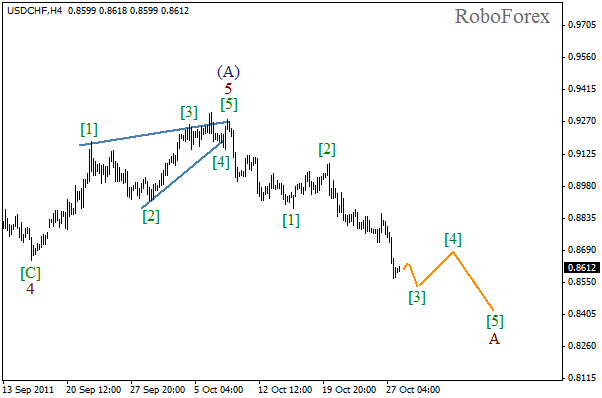 The bears have reached their first target at the level of 0.8650. 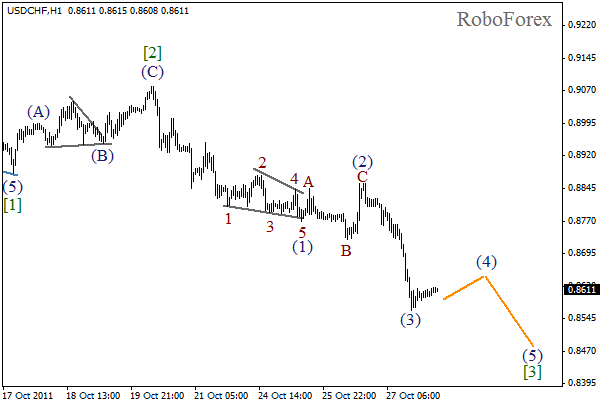 There is a possibility that the price may test the level of 0.8500 while forming the third wave. We may assume that wave (3) of  has been completed, and now the price is forming the fourth wave, which may take continue during Friday. Most likely, this correction will be finished in the nearest future, and after that we can expect the start of wave (5). The price continued moving upwards while forming wave 3, as we expected. The wave structure on the minor wave levels lets us suppose that the price may continue growing up. 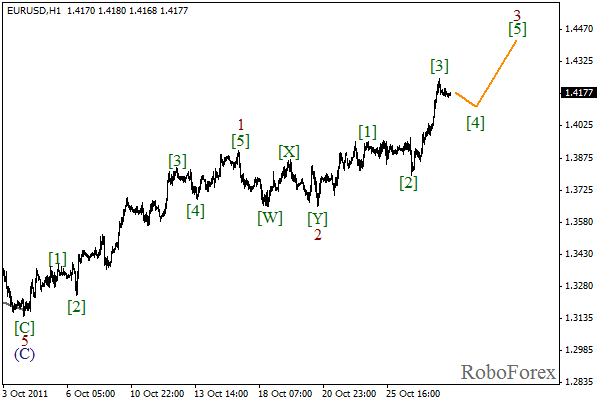 The target for the bulls is at the level of 1.4350. 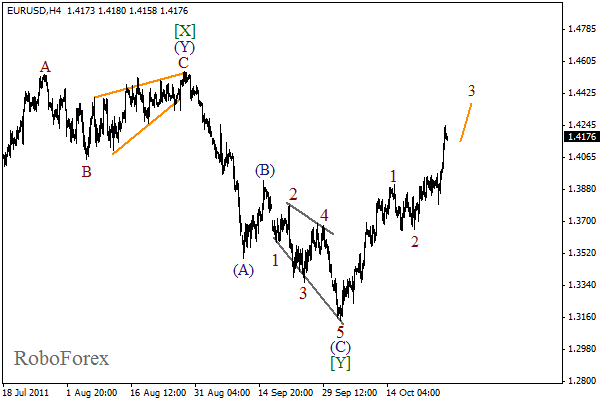 At the H1 chart we can see that the third wave has been completed inside bullish wave 3. It looks like the market is inside the fourth wave at the moment. In the near term, we can expect the local correction to be finished and the price to start growing in wave  of 3.